This page contains the Act 4 Walkthrough – Nuibaba's Abode. It includes the Items Obtainable, Objectives, and the accompanying Units. This article contains the Act 4 Walkthrough – Nuibaba’s Abode. It includes the Items Obtainable, Objectives, and the accompanying Units. At the start of the skirmish, Gargoyles will multiply and hover to your location. It recommended that you take them out immediately so that the path towards Nuibaba will be much easier. Nuibaba is one of the most challenging enemies that you will face among others. 1 : Alm must have at least 18 ATK, and wields the Royal Sword to perform the Combat Arts Double Lion. 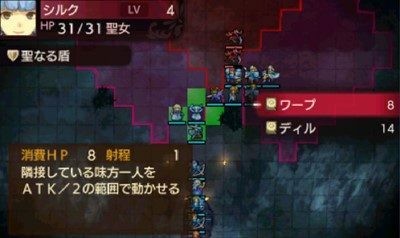 2 : Faye must Class Change to Saint to learn the Rescue Skill. 3 : Silque’s Warp Skill. Get to Nuibaba’s attack Range with Alm, Faye, and Silque immediately. Have Silque Warp Alm adjacent to Nuibaba then have him perform the combat art Double Lion to whittle it down effectively. Follow up with Faye’s Rescue to keep his HP on a safe zone. Employ the same tactic to take out the Cantor who has Conjure by lining up your Archers to snipe him. By the time you take out Nuibaba, loot the Mage Ring as it boosts your Spell casters range in future maps. Split the Party into groups, one should storm the Fort, the other will block the passage of the Gargoyles. Barricade the enemies with units such as Clair, low SPD Lukas, and high DEF Forsyth. The recommended armaments for the following units comprise of Blessed Shield, Holy Ring, and Prayer Ring. As for the units that will charge at the stronghold, give them offensive boosting equipment such as Speed Ring to alleviate their lackluster SPD. Keep a close eye on how the events flow, with the group calling the attention of the Gargoyles while the remaining crosses to the Fort. One of the concerning enemy units is the Bow Knight. Draw out the Bow Knight to the west side of the map using an Archer, this should eventually take it out. Your first group of units will draw out the gargoyles while the second group will advance towards the back of the map and into the hall to infiltrate the fortress. However, there is a Bow Knight located inside the fortress that could cause some problems to your second group. So make sure that you deal with this Bow Knight with one of your archer before proceeding further. The infiltration group’s objective is to surround the back of the corridor, then lure the enemies to the fort in manageable groups using a team of Archers. 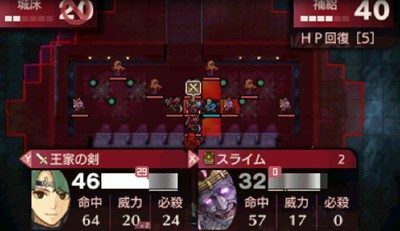 As the enemy count slowly dwindles, carefully arrange the specific units that can take out Nuibaba in a single turn before it gets the opportunity to amok. After defeating all of the enemies except Nuibaba, select a unit that can deal a one-hit kill or possibly a critical hit against Nuibaba. The Flying unit can also double for the offensive to charge at the hall’s entrance. Have Clair join the other team as they storm the fortress.